Dr Jengo's World: Assassin's Creed Odyssey Revealed for E3 2018! So, the rumours were finally put to rest! 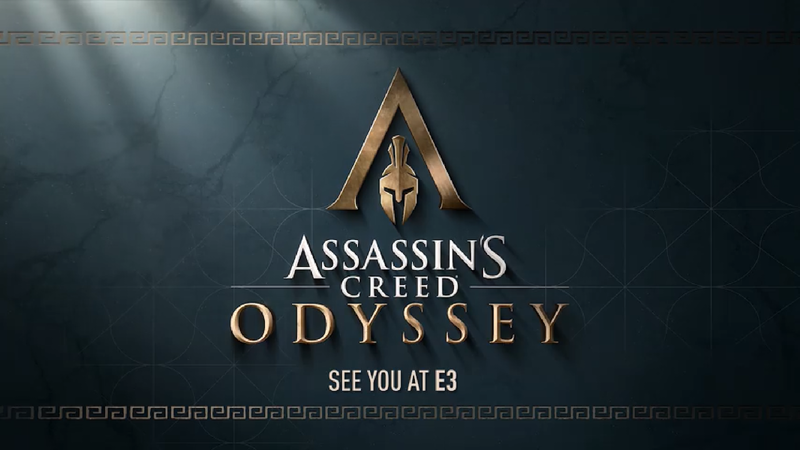 The latest Assassin's Creed game will be named Assassin's Creed: Odyssey and will be shown at this year's E3 2018. We don't have any details yet apart from the 1 short teaser below..
All we see is a Spartan soldier kicking someone off the cliff similar to famous scene from the movie, 300. So yup, pretty much confirmed in Greece. Greece is also visited in the previous AC game, Assassin's Creed Origins so I'm really hoping that we will see Bayek and Aya make a return. I would really like to see the Assassins featuring in a few games, rather than in just 1 game and then disappear. Part of the reason why I believe Ezio is so revered, is because of the trilogy of games that he featured in. Hoping to see the same for this duo. Also, will be looking forward to see how the modern day plot pans out. After Desmond's death, the modern day plot has just been confusing and hasn't added anything to the franchise for me. Assassin's Creed Origins revamped the combat system and sort of 'relaunched' the series by going back to the time when it all started and also gave us a new modern day character. I would like to see AC Odyssey build on that. While I'm all excited for a new AC game, I was under the impression we won't be having yearly AC releases anymore... which is why I'm actually having mixed reactions about this announcement. All things considered, I will honestly prefer this to be released next year so we shall wait and see..